Though you’d never know it from the media, Israel is making the world a better place every day. Here’s a look beyond the headlines. As the joke suggests, some subjects are too complicated, painful, or aggravating to discuss. For some, Israel and the Middle East fall in that category, especially when the discussion centers on war and death, Islamic terrorism and anti-Semitism, and Iran’s nuclear program—the subjects that so dominate the news. As President of the Reform Movement’s rabbinic conference, the CCAR, I am deeply troubled by the narrow focus of Israel-related conversations—in the media, on campus, even from the pulpit—limiting the discussion to matters of controversy and conflict, as if there is nothing else about the Jewish state sufficiently of consequence to merit attention. To some extent, this is understandable. Israel is the heart and homeland of the Jewish people. It faces acute challenges that should concern us all, and we should never shy away from thinking about them or speaking of them as if the issues are too complex or too hot to handle. There’s too much at stake for such timidity. But it is also a colossal mistake and missed opportunity if we buy into the false premise that Israel is about conflict and nothing else. There is also another Israel—one we don’t think or talk or know about nearly enough. This Israel is a vibrant democracy that guarantees freedom of speech, press, religion, and assembly, where self-scrutiny is the national pastime; the Israel whose arts and culture are as rich as its geography is varied and its beauty is breathtaking; the Israel whose excellence and myriad innovations in science, medicine, and technology are contributing so much to humanity; the Israel that is infinitely more than the sum of its conflicts. That is the Israel we all need to know better. Despite, and because of, the media’s preoccupation with the negative where Israel is concerned, we need to remind ourselves and others of how much there is about Israel to admire, of developments worthy of celebration, accomplishments deserving of praise, and individuals and entities making the world a better place and Israel “a light unto the nations.’” A primary point of reference is the Torah’s lofty commandment: “You shall be holy, for I, your Eternal God, am holy.” (Lev. 19:2) The Talmud explains, “Just as God is called ‘merciful,’ you should be merciful. Just as God is called ‘gracious,’ you should be gracious.’” “As God clothed the naked, you should clothe the naked. As God visited the sick, you should visit the sick.” It is a primary spiritual and ethical principal of Judaism to model our character and actions on what we discern of the Divine. By doing so, we become better people, better Jews, and God’s partners “in the ongoing work of creation.” In Israel, that partnership is a deeply embedded value, a way of life, in which even those who define themselves as secular, and may not believe in God at all, Jews and non-Jews alike, perform godly deeds. The primary Jewish sourcebook for God-like actions and attributes is the siddur, the prayer book. Among the blessings for daily recitation, God is praised for “making firm each person’s steps.” One such person is Radi Kauf. Radi was born and raised in Isfiya, a Druze village on Mt. Carmel. Like many young men from Israel’s Druze villages, Radi served in the IDF. In 1988, while on active duty, he was severely wounded by terrorist gunfire. When he regained consciousness nineteen days later, he was a paraplegic. Doctors told him he would never walk again. Debbie Elnatan was devastated when her son, Rotem, was born with cerebral palsy. His therapists did not encourage walking or crawling, so as not to exacerbate his muscle spasms. But when Rotem was two, Debbie could see that he craved exploration. So she began to experiment, ultimately inventing a walking harness called the UpSee. 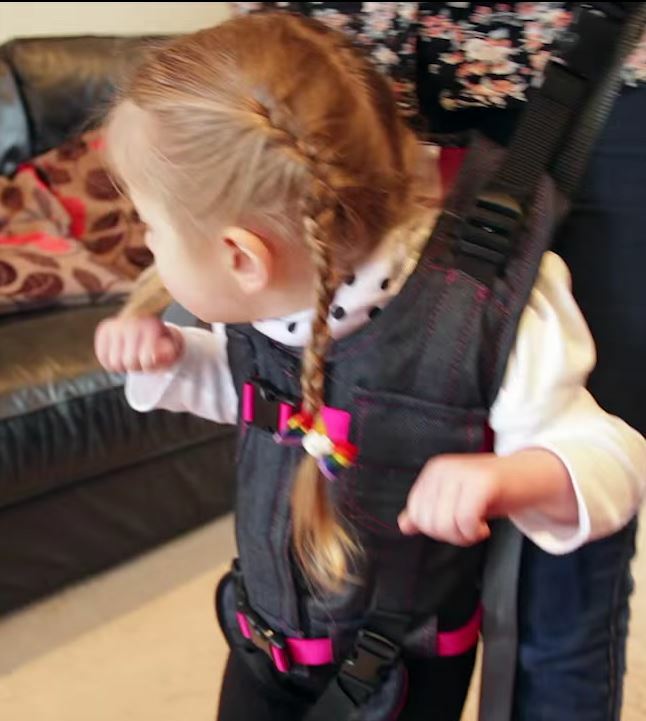 It allows children to stand upright, attached to their parents and, as they walk, to move along with them, allowing their child to reach out and touch and gain access to the world. UpSee is now sold worldwide. Many who need medical devices cannot afford them. Some 20 million people worldwide, including 5 million children, require a wheelchair for mobility, but don’t have access to one. So Pablo Kaplan, co-founder of the Israeli NGO Wheelchairs of Hope, set out to reinvent the wheelchair, designing affordable, child-oriented models. Six months later, the prototype emerged from a 3D printer. With the help of the World Health Organization, Wheelchairs of Hope aims to ship their wheelchairs to kids anywhere in the world for $100, and to produce one million of them in the next 7-10 years. Blessed are You, Eternal One… who makes firm each person’s steps. Our liturgy blesses God as the source of nourishment. Meet God’s co-workers, Nitzan Solan, Moti Cohen, and Mendi Pollack, creators of the LivingBox, a “mini-farm” with a self-sustaining “closed loop” of energy and nutrition. Nitzan observes, “It lets anyone anywhere grow vegetables without the need for fertile soil, running water, or electricity, and with minimal farming skills.” LivingBox could help feed a billion people in the developing world. Israel for Africa is a Kenya-based nonprofit teaching young people to farm using Israeli technology. A similar mission drives Furrows in the Desert, a project in semi-arid northeast Kenya, based on Israeli expertise in desert agriculture. Its aim is to reduce poverty and help the population attain economic independence. The beneficiaries of Israeli expertise are not limited to Africa. One company is developing a toilet that needs no water and generates its own power to turn solid waste into sterile and odorless waste in 30 seconds. An Israeli scientist has found a way to preserve 50 percent of the grain lost to pests and mold in the developing world. Another invented a system that produces safe drinking water from contaminated water, seawater, even urine, thereby addressing the tragedy of 3.4 million people in developing nations, including 1.6 million children under the age of five, who die each year from drinking untreated water. We, too, benefit from Israeli innovations. Time magazine recently ran a cover photo of a honeybee along with the dire headline, “A World Without Bees: The Price We’ll Pay if We Don’t Figure Out What’s Killing the Honeybee.” A malady called colony collapse disorder is responsible for the disappearance of 30 percent of professionally maintained hives each year. 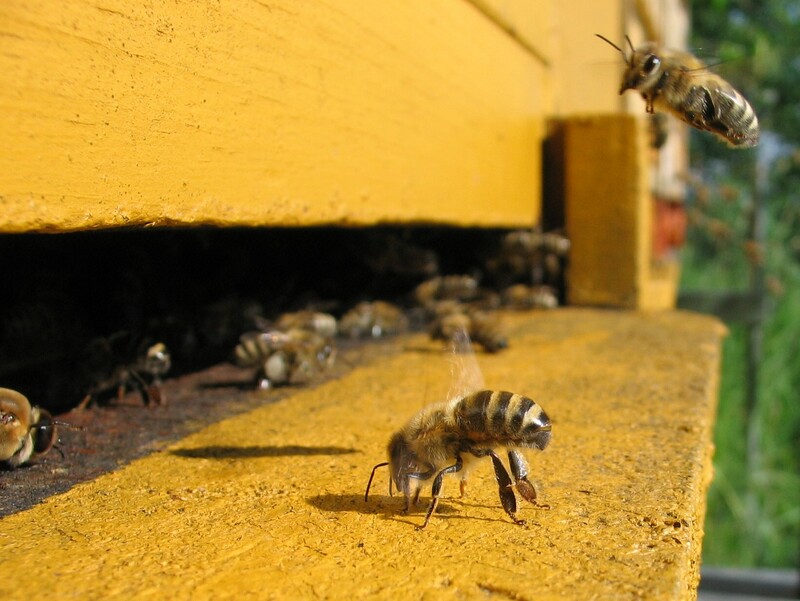 This is a big deal, since one-third of the food we eat depends on the pollination accomplished by bees. Eyal Ben-Chanoch, CEO of Beeologics, thinks viruses are to blame. His company has created an immunizing additive that beekeepers add to the syrup they feed their bees. Monsanto recently purchased the company. Blessed are You, Eternal One, who provides nourishment for all. Our prayer book praises God as a healer. Consider Marta Weinstock-Rosin, an Orthodox Jew, Professor Emerita at Hebrew University, and laureate of the Israel Prize, the nation’s highest honor. Born in Vienna, she was 4 when her family escaped the Nazis to England. In 1969, she made aliyah. 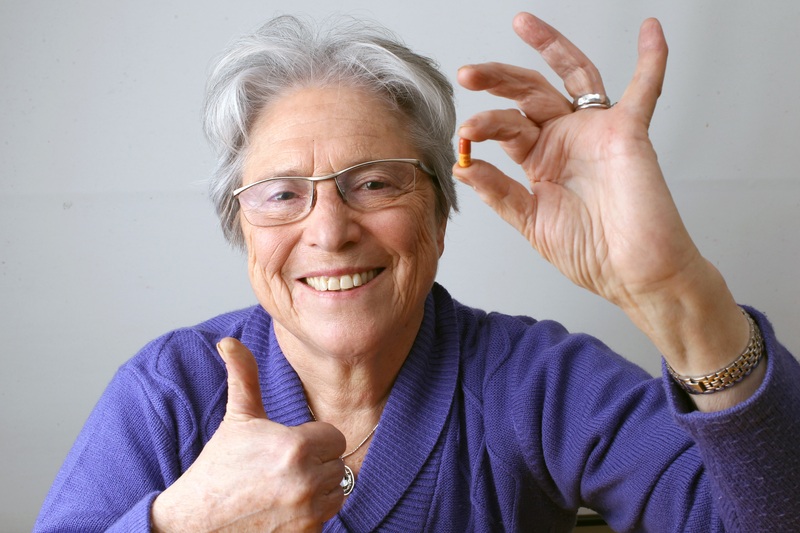 Marta was the lead developer of the Exelon Patch, one of the most commonly used treatments for Alzheimer’s and Parkinson’s diseases. Her current research involves a drug she developed to prevent Alzheimer’s. It is now in Phase II clinical trials in Israel and Europe. 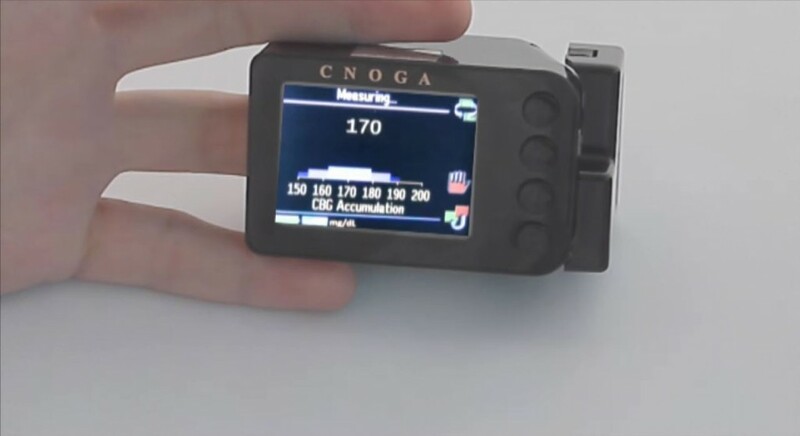 Another transformational Israeli invention is the world’s first “no blood” glucose monitor for diabetics, developed by start-up Cnoga Medical. Rather than pricking a finger, patients use the device’s optical sensor; it measures changes in skin color that reflect blood sugar levels. Skin color changes are also widely believed to be a symptom of SIDS, Sudden Infant Death Syndrome. Anara Feinsilver and Tomer Apal, students at Ben-Gurion University of the Negev, have invented BabyBeat. Its software interprets images from a simple web camera to detect subtle changes in skin tone, indicating a slowed pulse, and sounds an alarm that startles the infant back into a normal breathing pattern and alerts its parents. 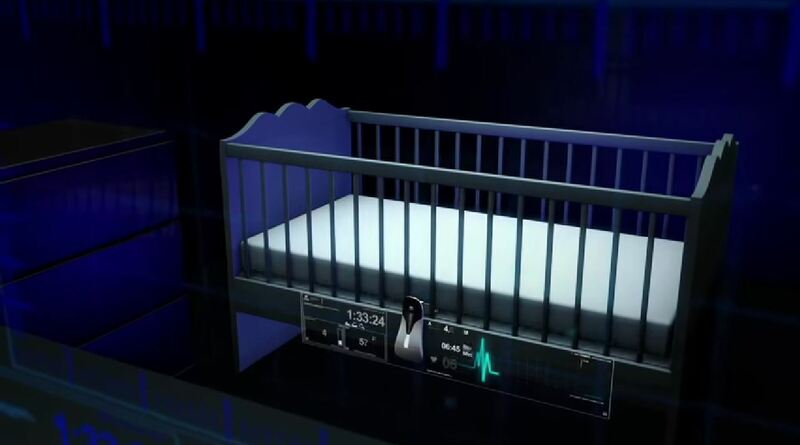 Another Israeli device, BabySense, monitors a baby’s breathing and movement through the mattress and issues an auditory and visual alarm if breathing slows significantly. Yet another innovation, invented by Dr. Ami Glicksman of Sheba Medical Center in Tel Aviv, uses ultrasound waves to remove fat, a non-invasive alternative to liposuction and dieting. Malaria afflicts millions worldwide, especially in tropical areas. If not properly detected and treated, it can lead to severe complications, such as respiratory problems, renal failure, stillbirths, even death. Current diagnostic tools are either unreliable or technical and subject to human error. Israeli startup SightDx is developing a novel computer platform for blood analysis and a low cost, highly accurate, and rapid test for malaria detection and diagnosis. Another, TACount Technology, detects harmful microorganisms in minutes, rather than hours or days with conventional cell culturing. Israeli robots are transforming surgery worldwide. And while people everywhere were dumping ice water on their heads in the ALS Challenge, Israel’s BrainStorm Therapeutics was making a significant breakthrough in the treatment of ALS, Parkinson’s, and multiple sclerosis, based on growing and enhancing stem cells harvested from patients’ own bone marrow. The treatment is now in advanced trials at Mass General and the Mayo Clinic. 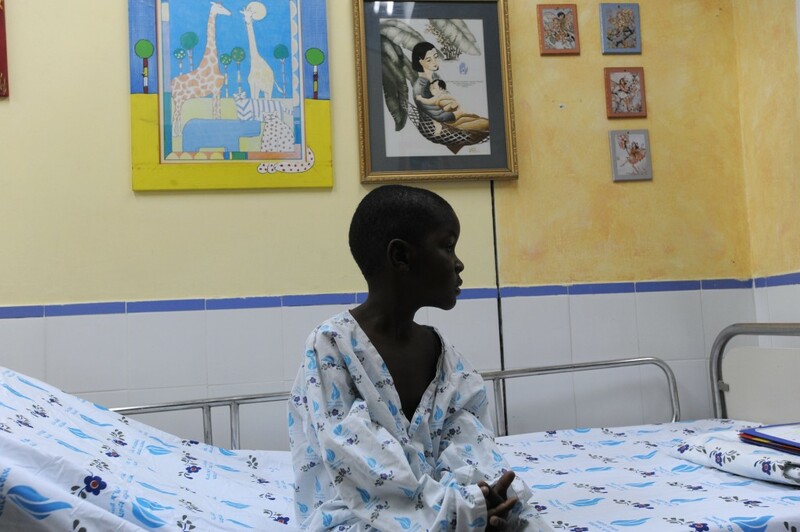 Many patients need life-saving medical care, rather than groundbreaking innovations. Save a Child’s Heart (SACH) is an Israel-based humanitarian project that fulfills the Mishnah’s teaching, “To save a single life is to save an entire world.” SACH believes every child deserves the best medical treatment available, regardless of nationality, religion, race, gender, or financial situation. Since inception, SACH’s medical team has examined and treated thousands of children—49 percent from the Palestinian Authority, Jordan, and Iraq, 40 percent from Africa, seven percent from China, Sri Lanka, and Vietnam, and four percent from the former USSR. Israeli physicians and hospitals have also cared for more than 1,000 civilians injured in the barbarous civil war in Syria. Dr. Masad Barhoum, an Israeli Arab, is director-general of Israel’s West Galilee Hospital. “When they pass through the gates of my hospital,” Dr. Barhoum says, “they cease to be Syrian…They are patients. We are caregivers. And nothing else matters….We are not treating an enemy, a fighter, a foreigner. We are treating human beings….What responsibility does the Jewish State have to the Arab neighbors who call Israel their enemy? Honestly, none. But still, we help.” Earlier this year, the mother-in-law of Ismail Haniyeh, a top Hamas leader, entered Israel for cancer treatment; last November, his granddaughter was brought to Israel with a serious infection. Even as Hamas rained rockets down on Israel this summer, 40-70 patients a day crossed from Gaza into Israel for critically needed medical care. Blessed are You, Eternal One, who heals the sick. Getting to Israel was just one stage of Becky’s fateful journey and that of some 92,000 other Ethiopian olim. Once there, they faced the daunting transition from an agrarian society to modernity. To help them succeed, the American Jewish Joint Distribution Committee, local Jewish Federations, and the Government of Israel founded PACT, Parents and Children Together. Working with more than 10,000 Ethiopian-Israeli children, their parents, and schools in 15 cities, the program provides educational, welfare, and health services aimed at eliminating academic and social gaps. After graduating college and serving in the Israeli army, Becky joined PACT at its inception, rising steadily. A year ago, she became its national director. Operation Moses and Operation Solomon, which brought the Jews of Ethiopia to Israel, were extraordinary humanitarian and logistical achievements, but they were much more than that. For the first and only time in history, whites took blacks out of Africa to free them, rather than enslave them. Blessed are You, Eternal One, Redeemer of Israel. Jewish tradition also thanks God for life itself. Whenever disaster strikes, even in countries that are hostile to it, Israel is often the first to arrive with lifesaving help. It has sent humanitarian aid and emergency relief missions to more than 140 nations. In 2010, a devastating earthquake in Haiti killed 300,000 people, injured hundreds of thousands more, and laid waste to that poverty-stricken nation. A team of 240 Israeli doctors, nurses, and rescue and relief workers arrived just days later with medicine, communications, and medical equipment. Israeli volunteers set up the country’s most advanced and best-equipped field hospital. When 22-year-old Emanuel Buso was pulled from the rubble of a three-story building after 10 days, barely alive, the first faces he saw were those of Israeli rescue workers who had flown across the world to save lives. Israel continues to help Haiti with educational projects, trauma programs, micro-financing, development and relief work, rebuilding of communities and schools, aid packages, empowerment for women, and medical assistance. Blessed are You, Eternal One, who lifts up the fallen. Leket Yisrael was founded in 2003 to rescue, and redirect to people in need, excess, nutritious food that would otherwise have gone to waste. Leket volunteers and staff provide more than 110 tons of food per week to over 230 soup kitchens, homeless shelters, senior citizens centers, and other social service organizations around Israel. Paamonim is a volunteer organization with 55 branches and 2,100 trained, volunteer guides who work with families in economic distress, helping them learn to manage their finances so they will no longer need to rely on charity. Bat Melech provides apartments that serve as shelters for abused Orthodox women and runs a hostel for at-risk adolescent girls from ultra-Orthodox families. Yad Lakashish is a non-profit that provides hundreds of elderly Jerusalemites in need with creative work opportunities and crucial support services. The Israel Religious Action Center, an arm of Israel’s Reform Movement, is the country’s preeminent civil and human rights organization addressing issues of religion and state. It works to advance pluralism in Israeli society and to obtain state recognition, funding, and equal status for Reform and Conservative rabbis, synagogues, and institutions. It advocates for gender equality, the rights of all converts to make aliyah and enjoy equal rights in Israel, and freedom of choice in marriage and divorce for all Israelis. At age 66, Israel is the world’s 100th smallest nation. It has less than 1/1000th of the world’s population. Despite having to spend more per capita on defense than any other country, its citizens have accomplished more than most in virtually every field. Israel developed the cellphone, voicemail technology, drip irrigation, the pill cam, the first solar window, Windows NT and XP operating systems, the Centrino Processor, AOL Instant Messenger, the airline industry’s most impenetrable flight security system, and the Iron Dome Defense system, which saved countless Israeli and Palestinian lives in the recent conflict. Israel is the world’s foremost immigrant-absorbing nation and the only country that entered the 21st century with a net increase in trees. Home of 12 Nobel laureates, it leads the world on a per capita basis in museums, newspapers, home computers, theater attendance, university degrees, scientific papers, biotech startups, and scientists and technicians in the workforce. It ranks second in books published, startup companies, and venture capital invested. Israel is simply amazing. It is a marvel. It is a miracle! In the biblical book of Nehemiah, we learn that Ezra the Scribe gathered our ancient ancestors at Jerusalem’s Water Gate on Rosh Hashanah and read the Torah aloud to the gathered assemblage, perhaps for the first time. As they listened, the people wept. But Ezra declared, “Do not mourn or weep…Do not be sad, for rejoicing in the Lord is the source of your strength.” (Nehemiah 8:9-10) Though they lived in times incomparably and inconceivably more difficult than ours, our ancient ancestors found ample reasons for rejoicing. So should we. However formidable the challenges facing the Jewish state and the Jewish people, they are dwarfed by our abundant blessings. Renewed in gratitude, revived in hopefulness, fortified in our pride in the State of Israel and confident in its future, let us declare: Blessed are You, Eternal One, Guardian of Israel.